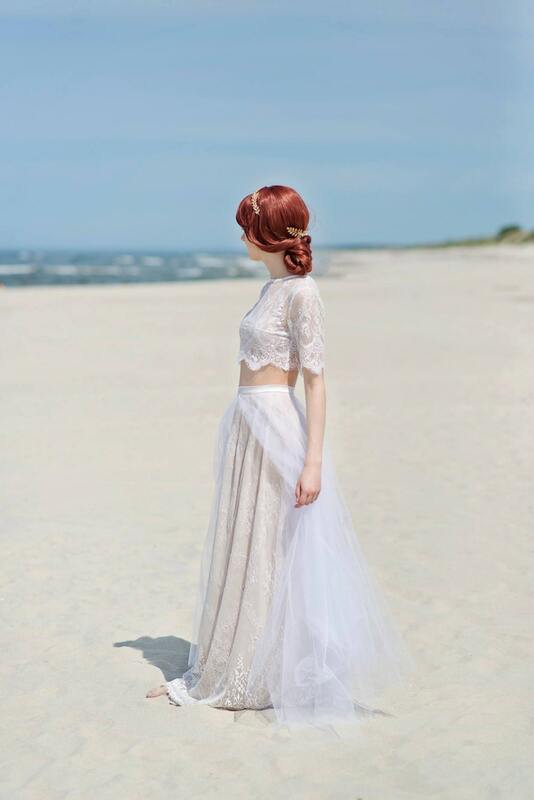 "Alexandra" is a two piece wedding dress, comprised of a transparent lace crop jacket and a lace skirt with some light tulle layers on top. 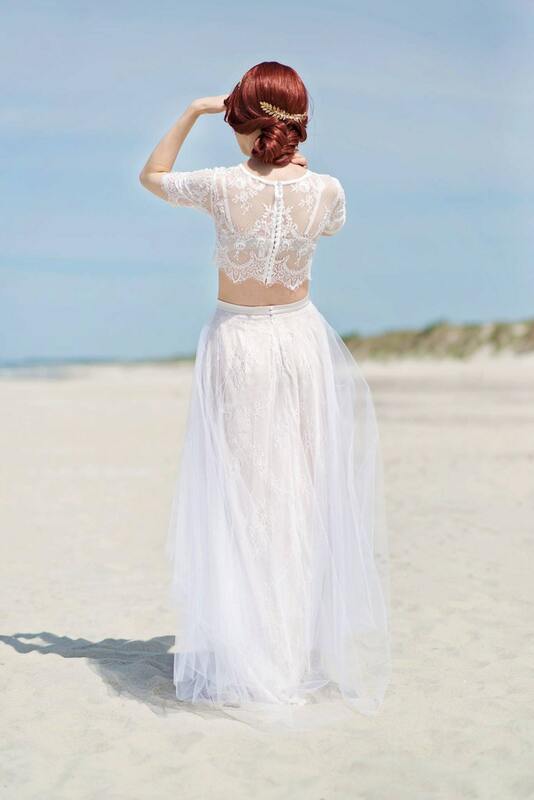 It is the ultimate bohemian and beach style bridal set! Just received my dress today!!! Once I got the email that it shipped it got here super fast. She also did a custom lining for me and made the top sleeveless. She did an amazing job. I can't wait to wear it! I was keen on the idea of separates for my wedding but struggled to find much choice. Inge's designs really caught my eye. She was really professional and helpful throughout the process and happy to adapt the design to what I wanted (eg colour, lining, sleeves). Taking my own measurements was easy with her guidance and it all came out fitting perfectly! It's just what I had in mind and am really excited about wearing this. The finish is very professional (perfectly-placed silk buttons, lace lined up completely symmetrically). I would thoroughly recommend Wardrobebydulcinea if you are looking for a high-quality, less-traditional, bespoke garment that's far more unique than anything you will find in bridal shops or on the high street.